Dolphins fans had to have some serious panic running through their heads on Thursday, but it looks like Ryan Tannehill is going to be okay. 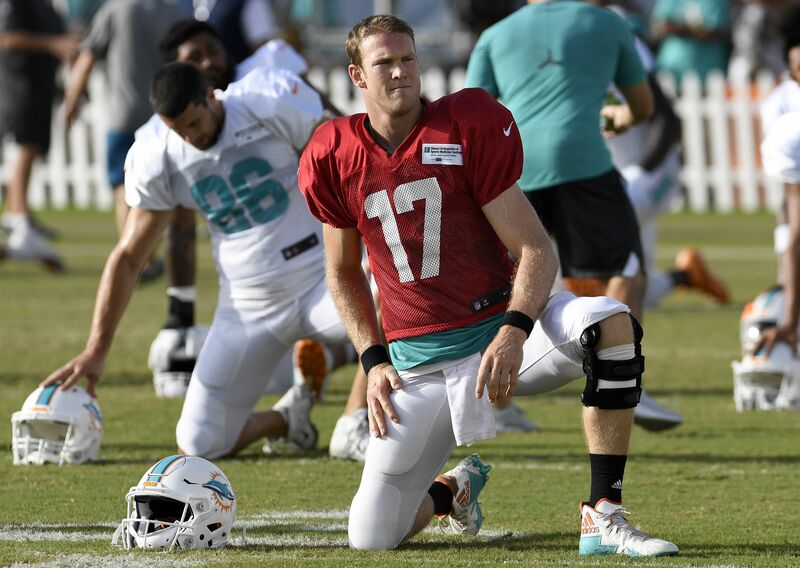 Ryan Tannehill went down in a scary way at the Miami Dolphins practice on Thursday, and sent fans into a panic after he left the field with a non-contact injury. Tannehill injured the same knee that he hurt last season to end his year, and no one seemed to know the severity of the injury throughout the day. Fans had to wait for an update for most of the day, and one finally came down late Thursday afternoon after the QB’s MRI. According to Omar Kelly of the South Florida Sun-Sentinel, Tannehill just hyperextended his knee at practice, and an MRI revealed that the Dolphins quarterback didn’t suffer any ligament damage. Just last year, in an injury many fear as the scenario when a player goes down without contact, Minnesota Vikings quarterback Teddy Bridgewater went down with a non-contact injury and hasn’t been on the field for a game since. However, it looks like the Dolphins and fans in Miami avoided any disaster even close to the Bridgewater situation, which is surely a good sign. Now, the discussion turns to how long, if at all, Tannehill will be out of action with his injury. With Tannehill hurting the same knee he did last year, it may impact the amount of time the Dolphins keep their starting quarterback off of the field, to ensure that he’s back at full health for the season opener in September. The Dolphins will need Tannehill back sooner rather than later, after a relatively successful season in 2016 that showed serious promise before it ended three games early. With 2,995 yards and 19 touchdowns on his resume from last year, it’ll be interesting to see if he can put up better numbers after another setback.